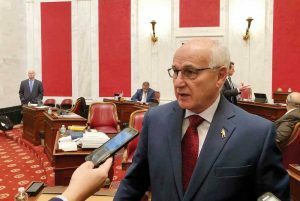 CHARLESTON — The Committee of the Whole of the West Virginia Senate Thursday quickly passed a sweeping education reform package with no amendments offered from Senate Democrats, no discussion and with two Republicans breaking ranks. Senate Bill 451, the education omnibus bill, passed the committee 18-16 with Sens. Kenny Mann, R-Monroe, and Bill Hamilton, R-Upshur, voting against it. Senators suspended the rules to move the bill on first reading. It will be up for second reading today and third and final reading on Monday. Mann, the former chairman of the Senate Education Committee until being removed in December, said he was going to be a no vote in the Senate Finance Committee along with Hamilton, which would have been enough nay votes to kill the bill. Mann said he can’t vote for the bill in its current form, but is hopeful amendments could improve it. 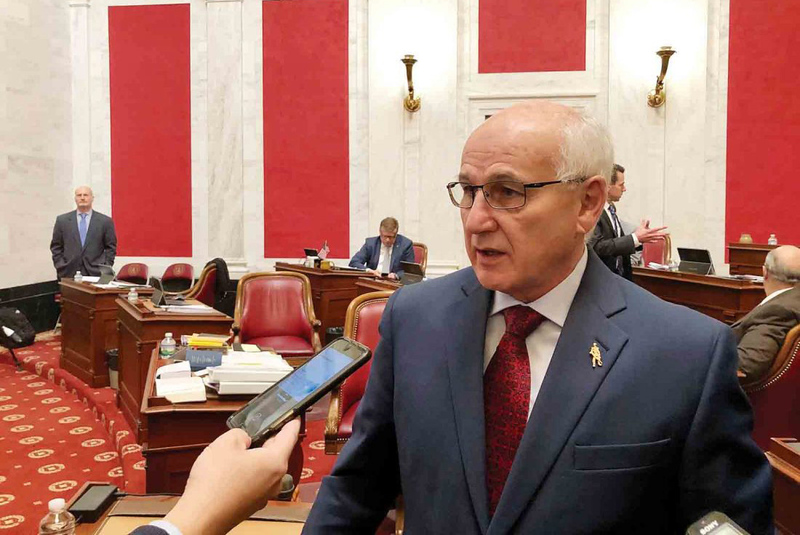 CHARLESTON, W.Va. — The Committee of the Whole of the West Virginia Senate Thursday quickly passed a sweeping education reform package with no amendments offered from Senate Democrats, no discussion and with two Republicans breaking ranks.